It’s looking pretty good if I do say so myself. 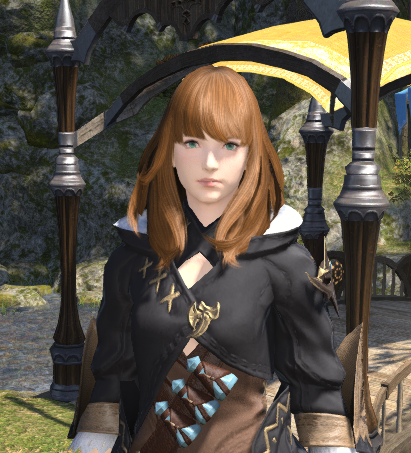 Also, let me introduce everyone to my FFXIV character, Ceren Alstrahl. She may or may not resemble me.. somewhat. A little. Only prettier. Anyhow, I play on Sargatanas if anyone is curious. If you’re on that server, feel free to send me a /tell. 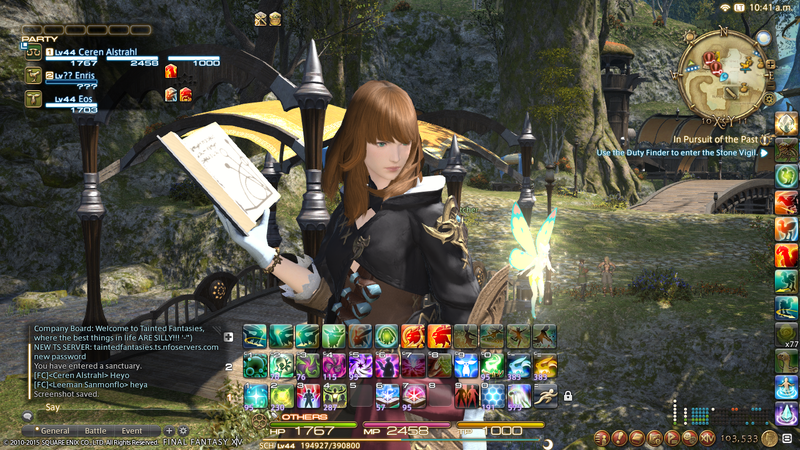 The plan of action for today is to plow through the main storyline quests and get caught up. I have a tendency to get distracted by how very awesome and beautiful this game is and do random things in game. Oh well, what can I say? I have fun! This entry was posted in All, Video Games and tagged alstrahl, ceren, chocobo, fairy, FFXIV, FFXIV: ARR, Final Fantasy, final fantasy xiv, game, gamer, gamer girl, games, gaming, geek, geek girl, geekgirl, geeky, geeky girl, geekygirl, mmo, mmorpg, online gaming, rpg, sargatanas, scholar, video game, video games. Bookmark the permalink.